Stir the marshmallow creme, whipped topping and espresso powder in a large bowl. Place the marshmallow mixture into a pastry bag and chill for 30 minutes. Pipe the chilled mixture into the prepared pastry cups and drizzle with melted chocolate. 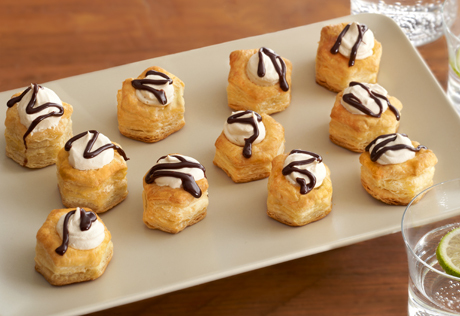 Serve the pastry cups immediately or chill until ready to serve.